His name is inseparably linked with the name Audiodata: in 1982 in Aachen, Germany, Peter Schippers founded the legendary loudspeaker brand. One of the first to do so, the young hi-fi pioneer used modern computer technology to minimise both manufacturing tolerances and standard deviation within a production series. And Peter Schippers is still at the leading edge with the new Audiodata Lautsprecher GmbH: together with Franz Stöger, he has developed the new loudspeaker series MASTER ONE. Mr Schippers, 33 years after the establishment of Audiodata, you along with Franz Stöger have greatly contributed to the company’s reboot in the form of the new MASTER ONE. How does that feel? Somewhat liberating! I wish our new beginning the greatest of success and will contribute my all to drive this. The MASTER ONE is certainly a very great loudspeaker, each aspect of it has been optimally designed. Even the first audio test showed results above all previous benchmarks. The MASTER ONE is poised to become the new industry standard. After more than 30 years’ experience in the hi-fi industry, you have seen countless trends come and go and you have mastered digital technology as well as analogue. What requirements do you have for a hi-fi system? First of all, hi-fi is an art form. One has to admit, for example, that you cannot accommodate a symphony orchestra acoustically in a 25 sq. metre room – neither in terms of space, nor of volume. It’s about getting the most out of the circumstances – without being unnecessarily prescriptive to the audience. The spectrum ranges from radio-compatible “music fast-food” that has been produced on a laptop in any basement studio, to “handmade” music that represents something about the artist and his work. The latter of course is personally more enjoyable, but both should sound as good as possible within the framework of possibilities. What do you like most about working with Franz Stöger? For more than 20 years, Franz has been the leading importer of Audiodata speakers in Austria. Thus, he knows our products inside and out. And our relationship has grown over the years. Franz is not an engineer and therefore has a completely different approach to the subject to mine. He can fall back on his many years of “listening experience”. He has succeeded very well in bringing things to sound – partly because of his admirable intuition, partly through experience. Our skills complement each other perfectly as music is ultimately a broad field that is influenced by many things. For me as a developer, the joint work is very pleasant because I can focus on my area of expertise. Franz brings his view of things to the table. And because of the common result, we both enjoy great recognition. Peter Schippers is the founder of the Audiodata brand, which is recognised in the German-speaking countries as being synonymous with the perfect sound. For over 30 years he has built stereo loudspeaker systems, the sound quality of which delights listeners and which have stood as benchmarks in the professional world. 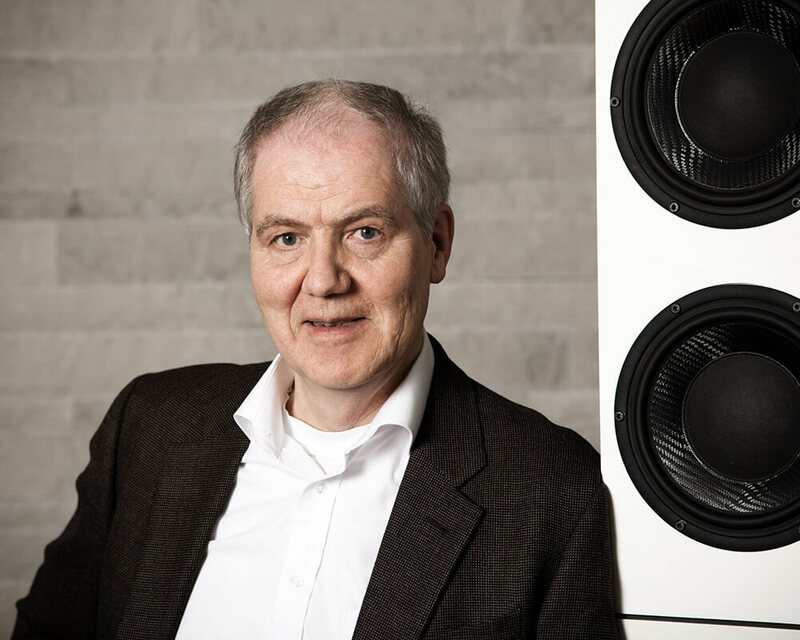 Since spring 2014, Peter Schippers has acted as technical advisor to the new Audiodata Lautsprecher GmbH, headquartered in Salzburg, Austria.